When asking golfers the following 2 questions 15 years ago, we likely ended up with a venn diagram without any intersection at all! But times have changed and these two questions are much more aligned. Do you play yellow balls? 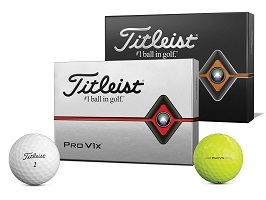 The #1 ball in golf has gone yellow with the recent introduction of the new High Optic yellow ProV1 and ProV1X balls.